She was created for a purpose so revolutionary, someone was willing to kill for it. Seventeen-year-old Lexi Matthews keeps two secrets from her elite boarding school classmates-she's the daughter of a famous and controversial geneticist, and she can influence people's thoughts. 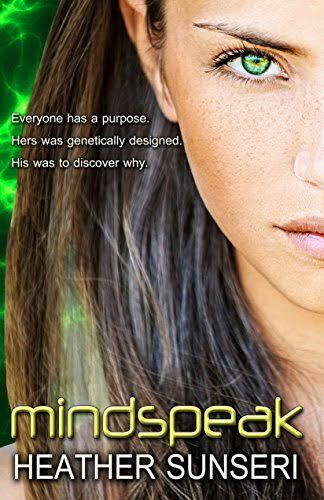 But after new student Jack DeWeese heals her broken arm with an anything-but-simple touch, he forces Lexi to face a new reality-her abilities reach much further than speaking to the minds of others. After Lexi's father goes missing and she receives threatening emails, she can't decide whether to fall into Jack's arms or run and hide. As Lexi seeks answers to what she and Jack are, she discovers a truth more unsettling than anything her science books can teach. And letting Jack into her life of secrets is not only a threat to her very existence, but it just might break her heart wide open.